Jeff Garzik, one of the best-known developers in the industry, spoke at Bitcoin Wednesday on 5 April, 2017. A video of his presentation can be found here. Jeff is currently co-founder and CEO of Bloq, a company that delivers open source blockchain solutions for the enterprise with an emphasis on performance, security, durability and interoperability. He is also a board member of Coin Center, and serves on the advisory boards of BitFury, BitPay, Chain.com, Netki and WayPaver Labs. He began contributing to Bitcoin open source software soon after he learned about it in July, 2010, and has been an authority on the subject ever since. He has given presentations on Bitcoin and the Blockchain for TEDx, State of Digital Money, Scaling Bitcoin as well as many private briefings to corporations, governments, central banks and hedge funds. He was also named an Information Technology specialist for the World Economic Forum Expert Network. Blockchain technology represents a foundational shift not seen since the invention of the Internet. As a long-time contributor to open source projects, some of Jeff’s work is part of the Linux kernel used in every Android phone and every data center running the Linux operating system today. Before his work on Bitcoin Jeff was an early contributor to Red Hat, Inc. a pioneer in the delivery of open source solutions for large corporations, and to CNN, where he helped build the global broadcaster’s first internet presence. 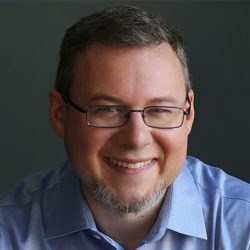 Jeff Garzik’s company Bloq is specialized in open-source blockchain solutions for the enterprise. He has been an important contributor to Bitcoin software since he learned about the project in 2010, and is one of the best-known developers in the entire industry.